Third Culture Kids (TCKs) are an important part of the international/expat family community. The TCKI program includes approximately 1,500 third culture kids from birth through age 22. These kids all belong to a membership-based community of multi-cultural families. All are or will face major adjustments as they leave behind the familiar to go to the unfamiliar. We have found that TCKs handle these adjustments better if we offer them a sense of meaning and purpose regarding their role in the family. First, TCKI EQUIPS TCKs as young leaders, prepared to impact their own generation. We assist with cultural training, education, retreats, discipleship, and life transitions. Families are more effective if the children are equipped educationally, emotionally, and spiritually to handle the challenges they will face. Second, TCKI ENGAGES TCKs completely in global involvement. They are an important part of the fellowship of families. TCKs are engaged in discipleship and in outreach. TCKs handle adjustments better if we offer them a sense of meaning and purpose regarding their role in the family, understanding that they are a vital part of the international family, and not just tag-alongs with parents. Third, TCKI ENABLES parents to fulfill their assignment by providing support in an area where a family is often vulnerable. When an TCK struggles with educational, cultural, and spiritual adjustments, the parents’ energies are divided between their sevice and the well-being of their family. We provide programs and resources specifically designed for TCKs to help them through transitions. By helping TCKs establish an identity rooted in their relationship with God, we not only free parents to do their service effectively but also multiply their efforts by encouraging TCKs to share in their family’s vision. Our TCK flag is based on the “Color me Green” article written by an TCK (below). Bwana Paul decided the Third Culture Kid Program needed a flag to represent our TCKs. He asked TCKs around the world to submit ideas for the flag design. This is the idea that won, and it is now our official TCKI flag! The blue section of the flag represents the TCK’s passport culture. The yellow section represents the TCK’s new culture. The chameleon in the middle is named “MiKo.” TCKs often feel like they don’t belong to one single culture, but rather take pieces of both cultures and blend them in their lives. 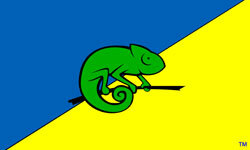 That is why TCKs are represented by the green chameleon. They are green because they are a blending together of two cultures, the blue and the yellow.  The chameleon signifies an TCK’s ability to adapt to their surroundings and blend into the culture they are living in at the time. Don’t color me green because I’m sick or jealous; it isn’t that shade of green. It’s a beautiful hue, a blend of bright sunshine yellow and the deep blue of a clear ocean. Much time passed before I discovered that this shade of green is just right for me, for now. It’s my color. Not too light, not too dark, just a perfect blend of blue and yellow. I’m a Third Culture Kid (TCK). Some have dubbed me a “third-culture kid.” I was born in America but raised in Africa—a product of two cultures— a blend. When I began my first year of college in the United States, it was difficult, with lots of adjustments. But college has also been a time for discovery. I’m coming to understand that in this moment of my life I am becoming the person The Father wants me to be, internally and externally. I’ve discovered I’m rich in experience. Some of my fellow students are thrilled with being “on their own,” in a dormitory and free from parental scrutiny. Since I was in fifth grade, however, I have boarded nine months of every year away from home. Dorm life isn’t new to me. After years of experience, I’ve learned that dorm life may be fun, but it’s not all it’s cracked up to be! Sometimes I long for my home, for my parents, even for fights with my brother and sister. Sometimes all I wish for is the normality of family life. My worldview is larger, in many ways, than that of my friends. When I see the starving peoples of Africa on TV, my heart aches. I know they are real. I have seen them, touched them, and played with the children. I have lived with comforts in a land where so many live without. Those people are more to me than just images on a screen; they’re real. I know, too, that their needs reach far beyond food and clothing. Many cry for the light of The Father, to know a world beyond the bleakness of their meager existence. Without the knowledge of The Father, all else is immaterial. I have grown up knowing that the soul of man has no color, and skin color does not change the needs of the heart. Now I’m discovering America. Much of it is exciting and thrilling. What a place! Eating pizza and watching puppets sing and dance, having a hamburger while watching children riding a merry-go-round, climbing a jungle gym, or swinging high on a playground swing. The United States never seems to close at night—it’s always alive, always bright. There are beautiful shopping malls and grocery stores with mind-boggling selections—dozens of cereals, for example. The roads have lanes and lanes of traffic—and no potholes! Intersections abound, instead of “round-abouts.” And there are so many big cars! America is luxurious, soft, expensive, and comfortable. America feels safe, and the sense of liberty and human dignity appears to run deep. I’m discovering my heritage. Although I attended a Believing boarding school over the years, I had few opportunities to experience Pentecostal worship in English. Now during weekly community Gatherings, I just let the Comforter flow through me. I love the worship, the music, the singing, hearing the Word, and the soft pews! After growing up worshiping The Father to the beat of drums while sitting on planks over rocks, there are some things I’ll never take for granted! Coming to the States has brought new realizations: that I have new friends who can help me through the difficult times of adjustments, that I am an adult—but not quite, that new customs exist, and I must try to fit into a new culture, with a different blend of colors. I have learned to appreciate my family, who are thousands of miles away. I have also learned to become part of an American family, who have opened their hearts to me, making me feel a vital part of their familiar and comfortable Christmas, Thanksgiving, and Easter activities. During these holidays away from home, I have gained new insights and have grown spiritually. Now I have come to realize that it’s okay for me to be green—a blend of two colors, two cultures. Don’t feel sorry for me. I am richer for my experiences. I am at a place in life where I can begin to choose the best of these African and American heritages. Be sensitive, however, to the needs I feel. I make mistakes, too. It’s hard, at times, to be green when others are yellow or blue. So I ask for your love, your understanding, and especially, your prayers—for me and the other TCKs. We’ve got a lot to offer, if encouraged and given channels to express ourselves. I know many people think about Workers. Believe me, they appreciate it. Some think about the Worker’s family; that’s even better. But how many people have a Third Culture Kid they think about regularly? Could I challenge you to that goal so other TCKs will know it’s okay to be green?